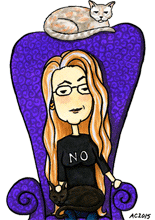 I painted this image with prints in mind, and then Photoshop and I had irreconcilable differences about the color. I managed to get a decent one made for a certain Christmas present, but I swear I wasn’t speaking to my Adobe products for a few days afterward. 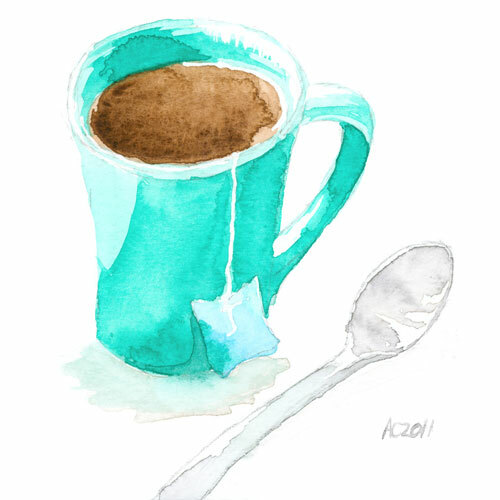 Apparently one culprit is the bright teal paint I used for the cup, which is a color my scanner seems to hate, not to mention the issues it has with pale colors of any sort, such as the shadow under the spoon that’s been rendered invisible. Regardless, I really liked how the original came out, a peaceful cup of tea brewing, just waiting to brighten up someone’s day. Cuppa Watercolor, 6″x6″ watercolor on paper.